established over 30 years ago - we are also the UK's leading mineral exploration and environmental drilling company servicing the largest quarrying and aggregate firms. We have a diverse range of specialised drilling rigs and equipment for low-ground pressure services including exploration drilling / sonic drilling and more.... Our drilling expertise can be categorised into four main areas: sonic, exploration, geothermal and water boreholes. We welcome projects from domestic and commercial customers, from homeowners, agricultural / equestiran / horticultural to the large construction & aggregate companies. 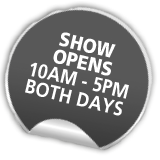 We would love to meet you at the show and hear more about your business and how we may be able to help you.